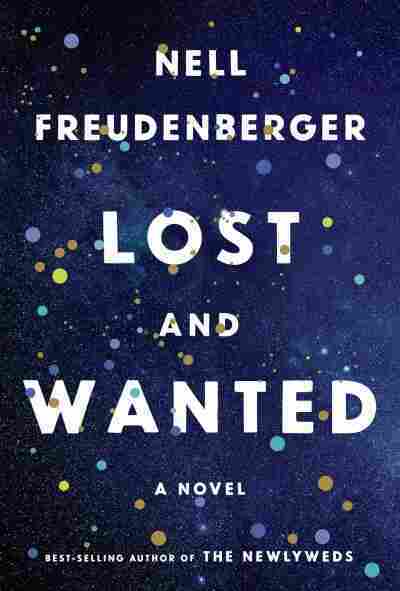 Book Review: 'Lost And Wanted,' By Nell Freudenberger Nell Freudenberger's new novel is a bittersweet love story — about a lost friend, a missed romance, and an all-consuming career — that uses dense scientific concepts to illuminate everyday emotions. Nell Freudenberger excels at one of fiction's singular strengths — imaginative empathy without borders. Her heralded 2003 debut story collection, Lucky Girls, and her first two novels explored the rub between American and Asian culture. In The Newlyweds (2012) she proved herself to be an adept cultural mime, channeling a Bangladeshi bride's uncomfortable adaptation to life in America. With her third novel, Lost and Wanted, Freudenberger takes another impressive plunge into a different sort of foreign culture: theoretical physics. In doing so, she joins a select group of novelists — including Richard Powers, Alan Lightman, Barbara Kingsolver, and Allegra Goodman — who travel across literature's borders into science, writing what has been called fi-sci, as opposed to sci-fi. Set against a background of searching questions about multi-dimensional spacetime and the gravitational pull between black holes, Freudenberger's novel is a bittersweet love story — about a lost friend, a missed romance, and an all-consuming career. It concerns concentric waves of grief over an untimely death, missed chances, and the life-changing tradeoffs we make, often without realizing their far-reaching consequences. Freudenberger's narrator, Helen Clapp, has been a distinguished professor of Theoretical Physics at MIT since 2004, after breakthrough work with her former college boyfriend and closest collaborator, Neel Jonnal, on an "AdS/CFT model for quark gluon plasma as a dual black hole in curved five-dimensional spacetime." Yes, Freudenberger throws a lot of esoteric, sometimes numbing jargon at us. But rest assured that much of it gets translated into more comprehensible terms — and bears more than just metaphoric relevance to her story. Much of the novel takes place in 2016, a sobering year for Helen, now 45, and the country. It opens with news of the death of Charlie (Charlotte) Boyce, Helen's Harvard roommate, following a long battle with lupus. It's a painful loss, exacerbated by a spate of puzzling texts to Helen from Charlie's missing cellphone for months afterward. Someone's cruel joke? Between these unnerving missives and news of Neel's engagement and return to her orbit, Helen is thrown. Freudenberger avoids a heavy hand in drawing analogies between emotional states and abstruse scientific concepts, taking care to deploy physics as a catalyst for new perspectives on time and our trajectories through it rather than just metaphorical ballast. Lost and Wanted traces the roots and diverging trajectories of Helen's relationships with Charlie and Neel. It's quite a saga — mostly absorbing and often moving — which involves a lot of explication, like Freudenberger's earlier novels. All three Harvard classmates achieved early success, (as did Freudenberger), but at a cost. Charlie, from an accomplished local black family, abruptly ditched a promising future in academics in reaction to persistent unwanted advances from her smarmy thesis advisor, a powerful gatekeeper to important fellowships. Instead, she headed out to Hollywood, where she surmounted racial and gender hurdles to become a television writer and producer. Unlike Helen, she found a husband, Terrence, whose only ambitions were to surf and play house-husband and primary caregiver for their daughter, Simmi. After his wife's death, Terrence moves east, hoping proximity to Charlie's parents and best friend, Helen, and her son, Jack, will help Simmi, but he's a fish (or surfer) out of water. In another striking example of how motherhood can enrich intellectual fiction (see Valeria Luiselli's Lost Children Archive), Freudenberger balances the science in her novel with tender, convincing portraits of these two kids. Their touching, concerted efforts to wrap their heads around death include what Helen's son calls "a 'say'-something" — a séance. Impressively, Freudenberger avoids a heavy hand in drawing analogies between emotional states and abstruse scientific concepts, taking care to deploy physics as a catalyst for new perspectives on time and our trajectories through it rather than just metaphorical ballast. Enriched by intelligent, multi-level discussions about the spacetime continuum, determinism, whether Einstein believed in God, and cosmic concepts such as entanglements, collisions, interference patterns, uncertainty, and gravity — including, most notably, the force we exert on each other — Lost and Wanted is an undoubtedly brainy book. But Freudenberger's outstanding achievement is that it is also a moving story about down-to-earth issues like grief and loneliness.